Well you can never trust the weatherman can you? - on the day of our visit, the heaven's decided to open! Not wanting to let the weather put us off an adventure, I just decided to try and make the most of our visit in the rain. 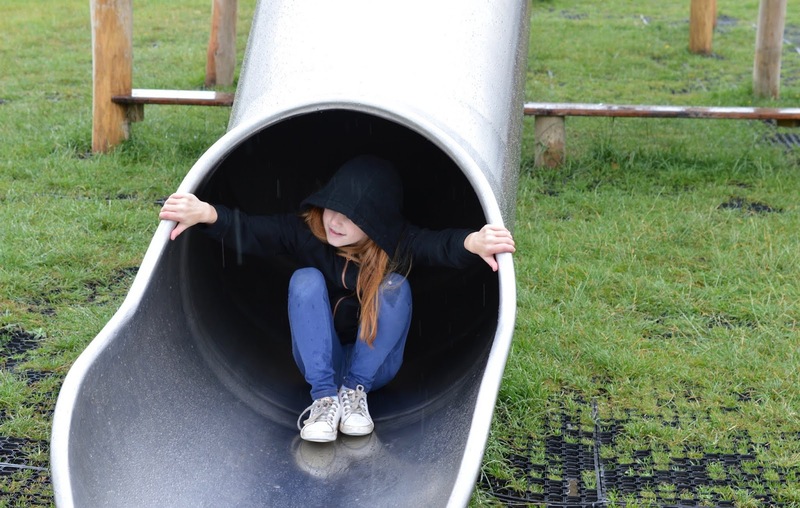 Please bear in mind that these photos were taken in very wet conditions and probably don't show Derwent Waterside Park in it's best light - it really is a gorgeous area and I bet it's a stunning place to spend the day when the weather is a little nicer. 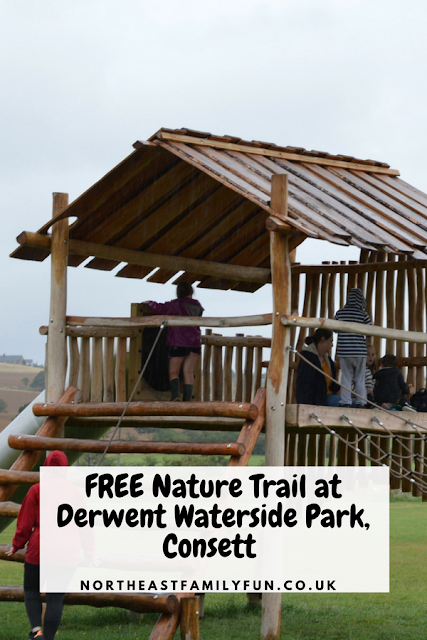 To get to Derwent Waterside Park, use postcode DH8 9TT. Parking is £1.50 for up to two hours or £5 for the full day - make sure you take change. 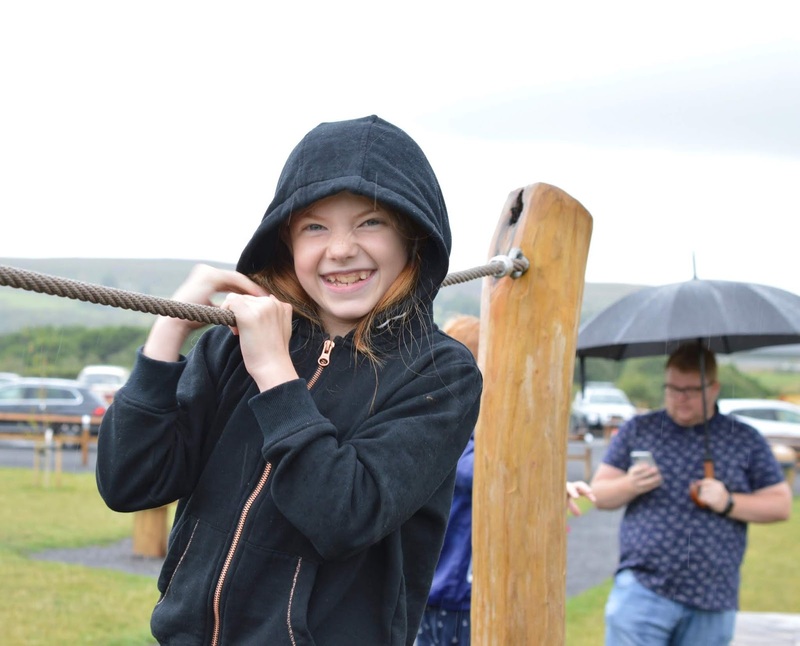 The park is just 9 miles from the A69 and somewhere you could easily spend a full day out with family or friends. 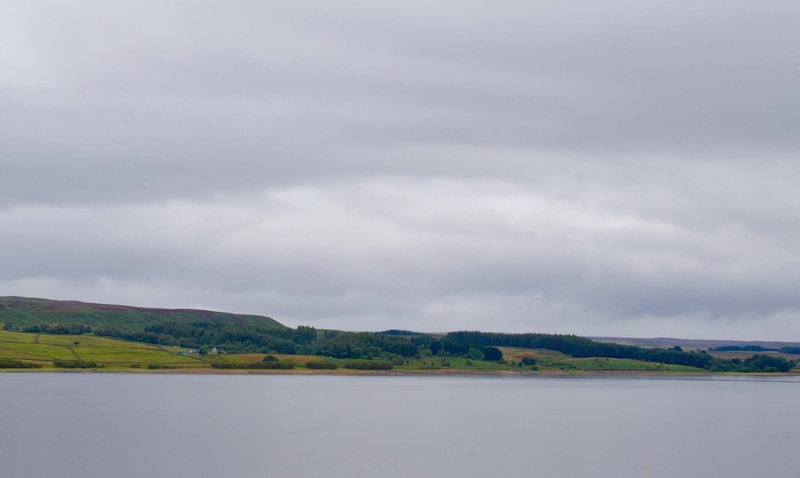 You can park next to the visitor centre and playground at the bottom of the hill or next to the reservoir at the top of the hill. We parked at the bottom and the walk to the reservoir up the hill wasn't too far at all. 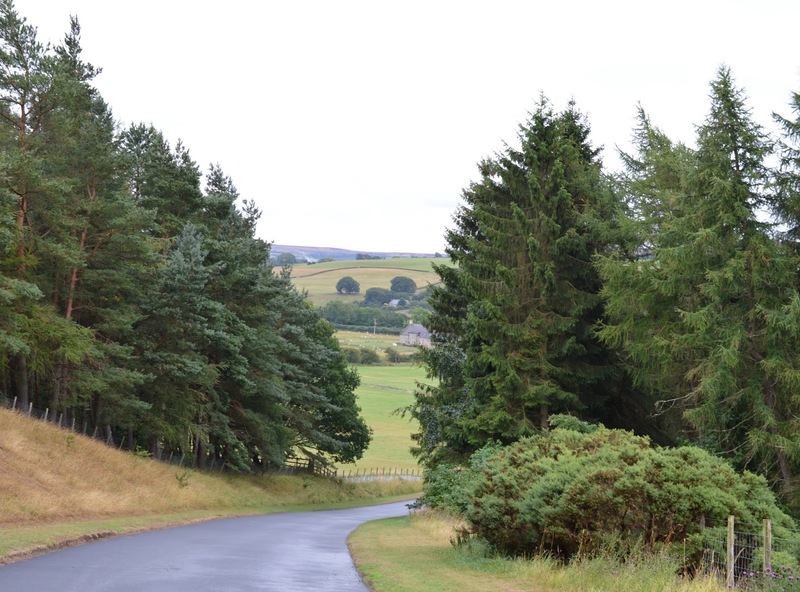 If you have mobility issues you could always park at the bottom of the hill, enjoy the facilities here and then drive up the hill and park at the top to see the reservoir. The visitor centre next to the main car park is where you'll find the loos, a fishing shop, gift shop and very small cafe (there are three tables). 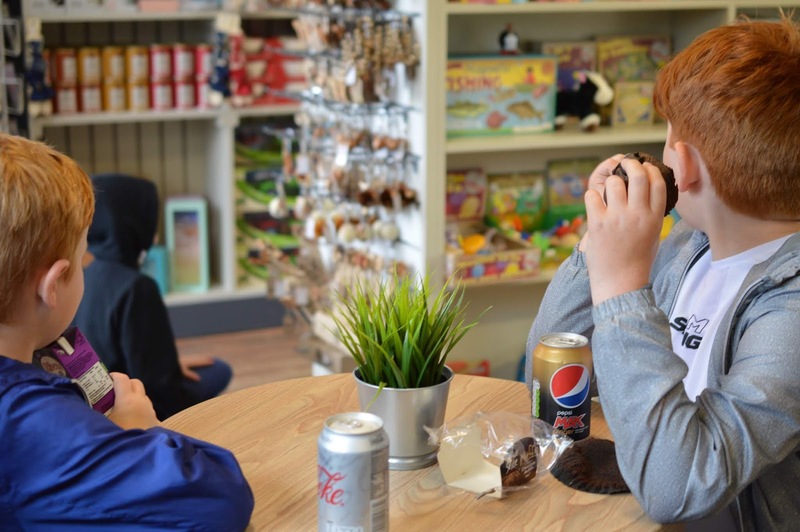 I'd probably recommend taking a picnic lunch and buying snacks and drinks from the cafe rather than a full meal if I'm honest as the options were pretty limited. 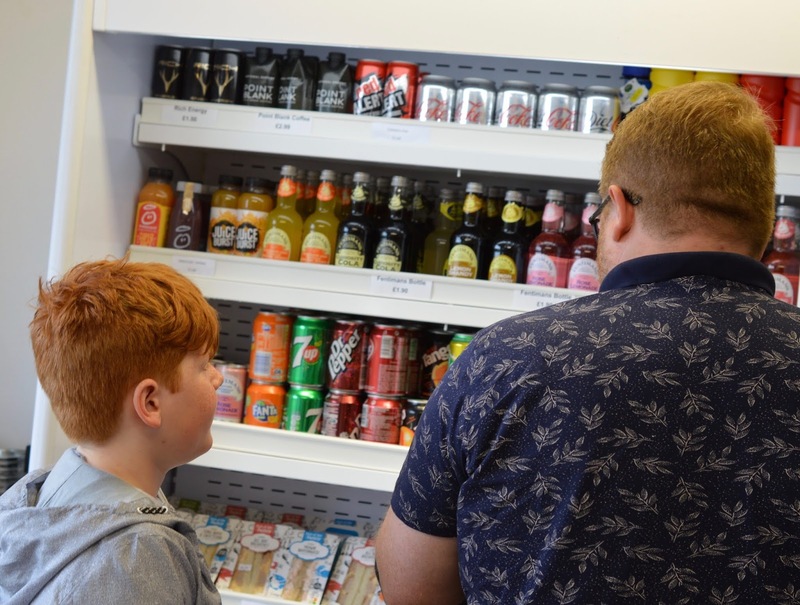 Definitely pop in for coffee, cold drinks and ice creams though and the cafe is where you can pick up a free nature trail too (more on that later). The new adventure play area at Derwent Waterside Park really is fantastic. 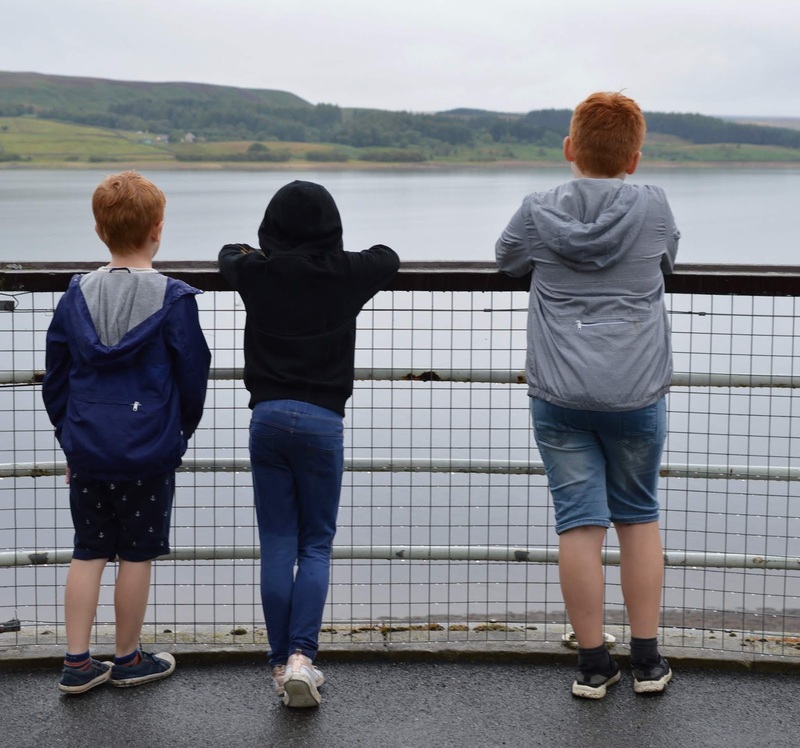 Opening in Easter 2018, it was still busy on the day we visited despite the rain and a few local readers have already commented on my Facebook page to say that it's their go-to place to visit with the kids at the moment. 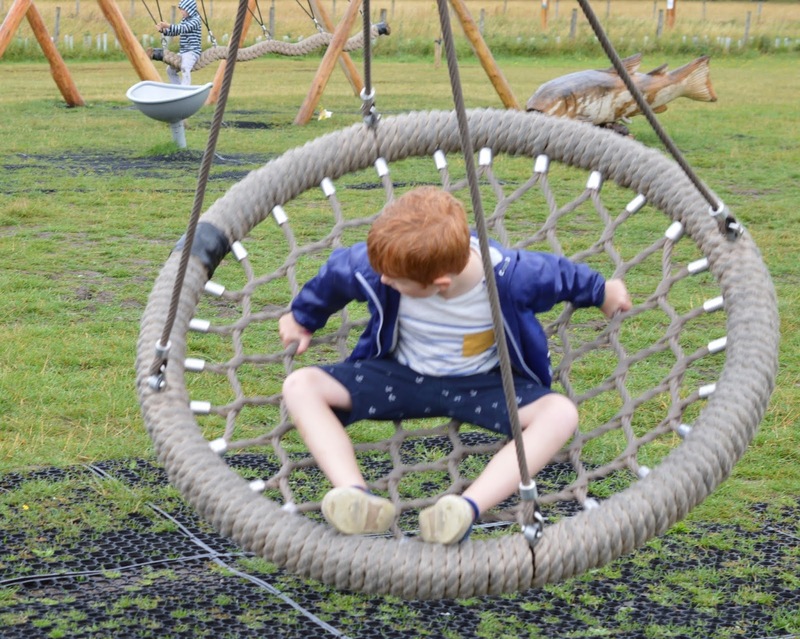 There are swings, slides, climbing frames, nets....loads to keep kids of all ages happy. 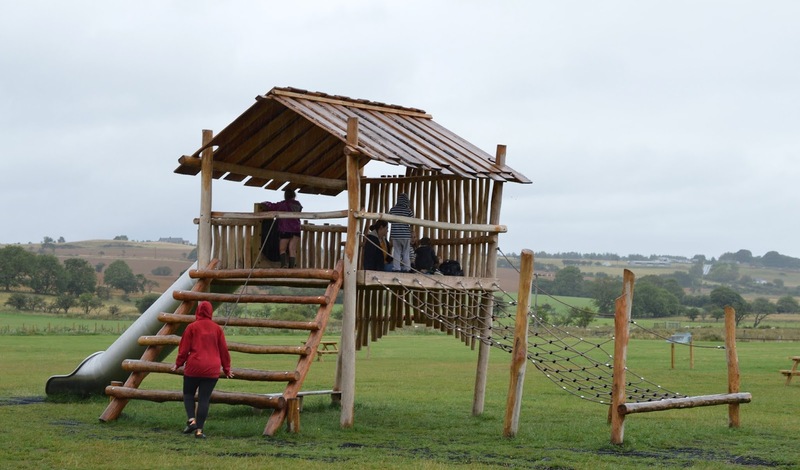 The adventure play area is free to visit and we spotted grown-ups having just as good a time as the kids and hiding from the wet weather with their sandwiches in make-shift dens. I loved that there were several BBQ areas here, plus picnic tables and lots and lots of green space for kids to run around as well as a new 5-a-side football pitch. I definitely think it's the kind of place you'd arrange a big family picnic or a get together with friends in the summer holidays. 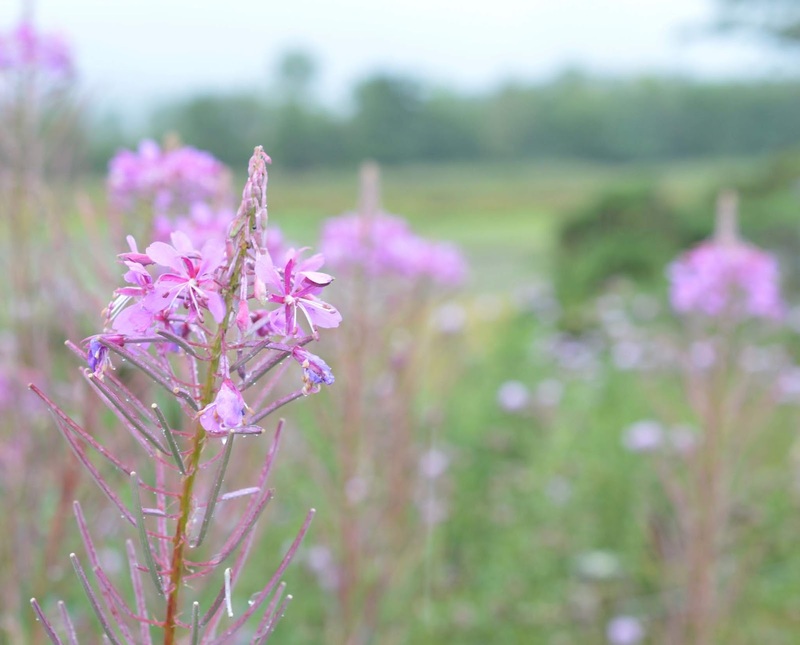 Who doesn't love a good nature trail? Especially when it's FREE. 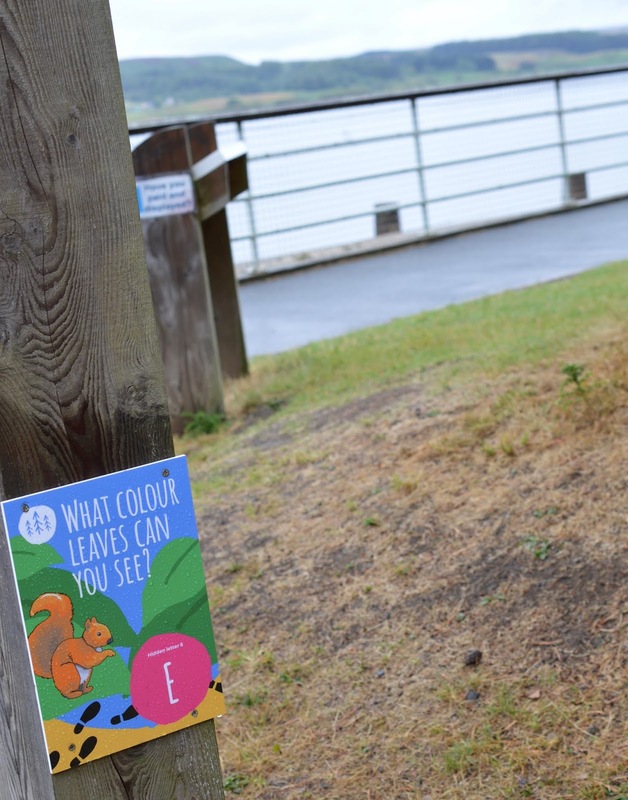 You can pick up a free trail leaflet from the cafe/visitor centre and find the missing letters around the reservoir to make up a hidden word. Once complete, hand your trail into the visitor centre/cafe and you'll receive a lovely treat. There's a map to help you and after the initial short climb up the hill, the trail will take you around 1/3 of the way around the reservoir and is accessible for all. We completed the trail in around 40 minutes. 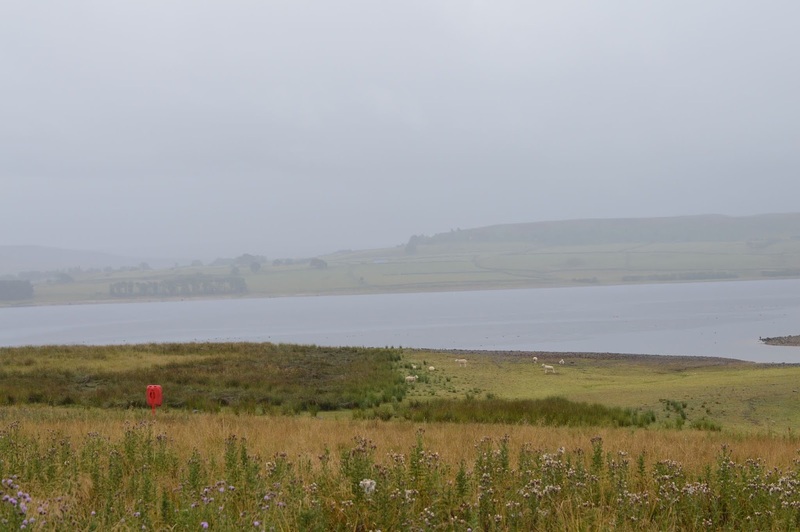 The views of the reservoir are stunningly beautiful - my rainy photos do them no justice at all. 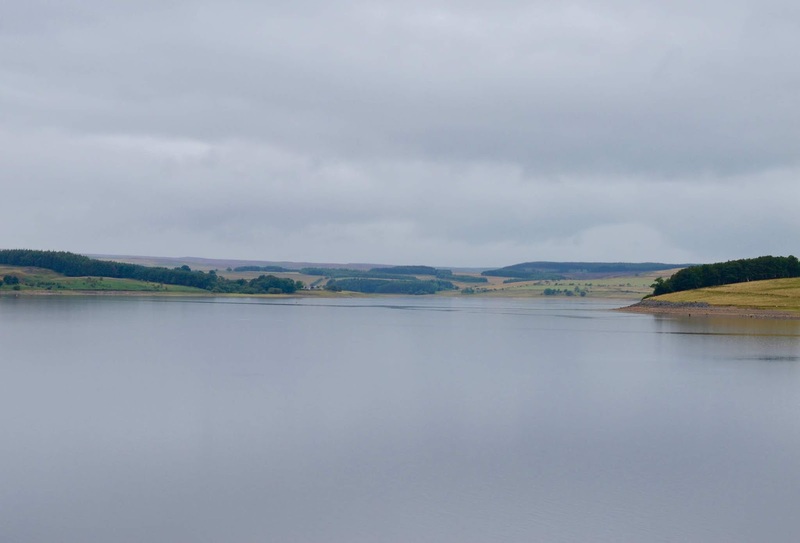 There's a chance to go fishing, continue walking beyond the trail or cycle around the reservoir too. 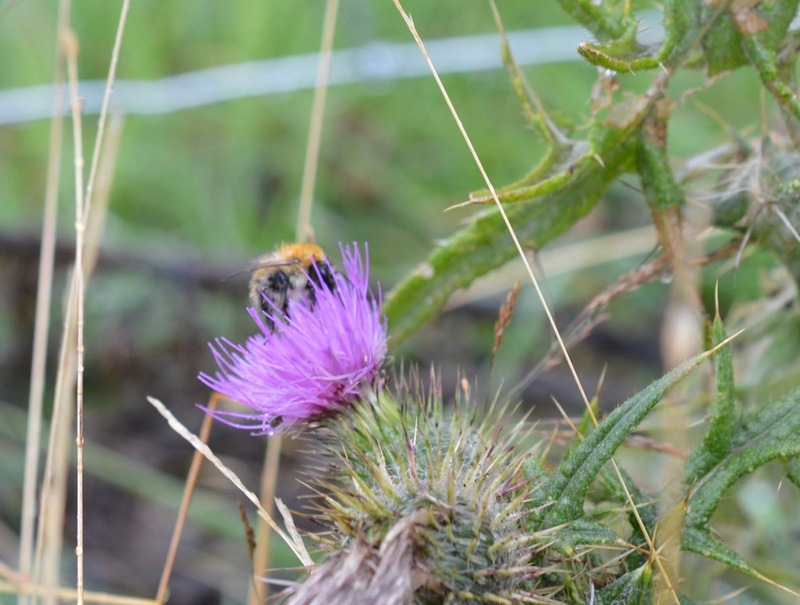 There are picnic tables dotted about the site too if you fancy a break and taking in the tranquil setting. The nature trail provides you with little activities along the way to keep you entertained. Our favourite was to count how many fishermen we could spot - there were still a couple braving it! The nature trail is absolutely packed with wildlife. 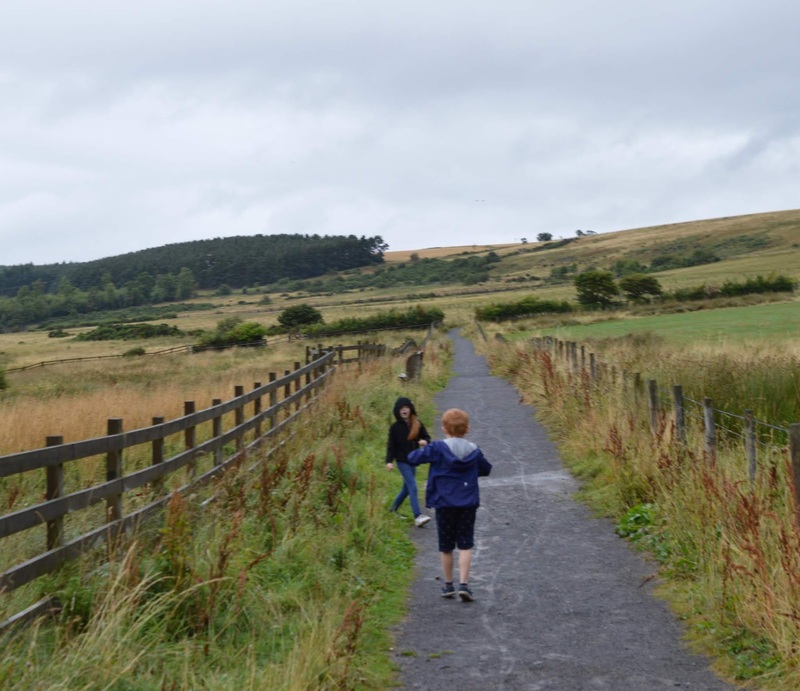 There were flocks of geese constantly flying above our heads, the air was filled with the beautiful aroma of wildflowers and as it was raining, we spotted lots of slugs and snails along the path too. 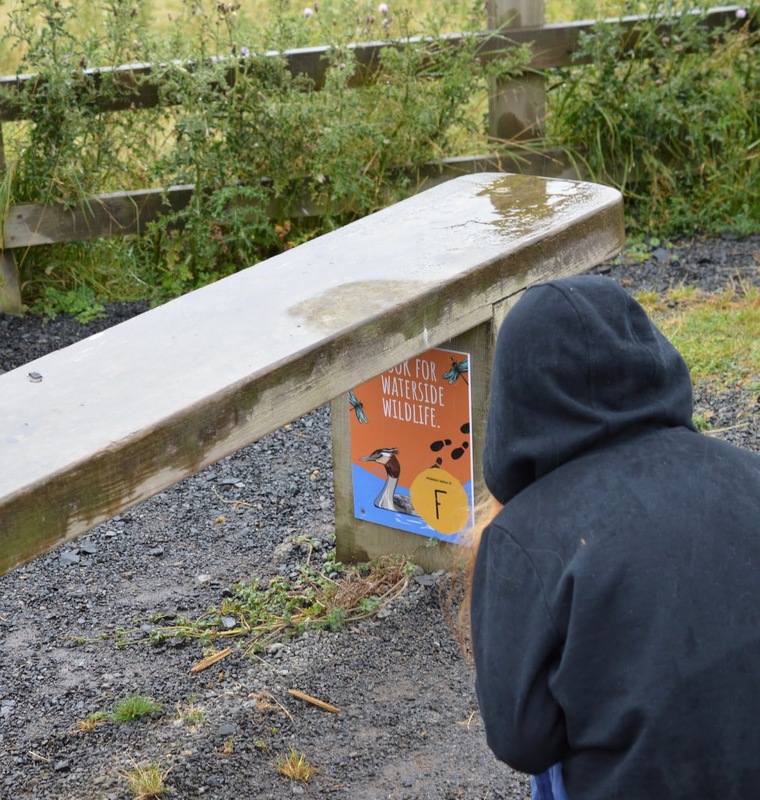 Remember to look high and low for the trail letters - some are fairly hidden but we managed to find them all in the end. Seriously - I will never leave the house without a raincoat in the back of a car again! We were soaked through by the end of our walk. The lovely staff in the visitor centre took pity on us and offered us a complimentary hot drink to warm through which was nice of them. Luckily for us, we still had our suitcase with our dry clothes from the previous day in our car so quickly dried off and changed in the toilets before our journey home. 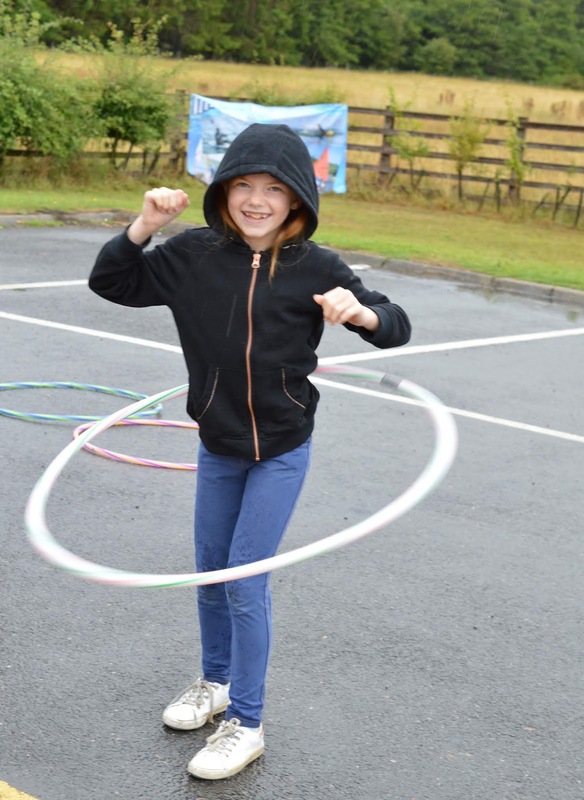 There is an on-going programme of events at Derwent Waterside Park. 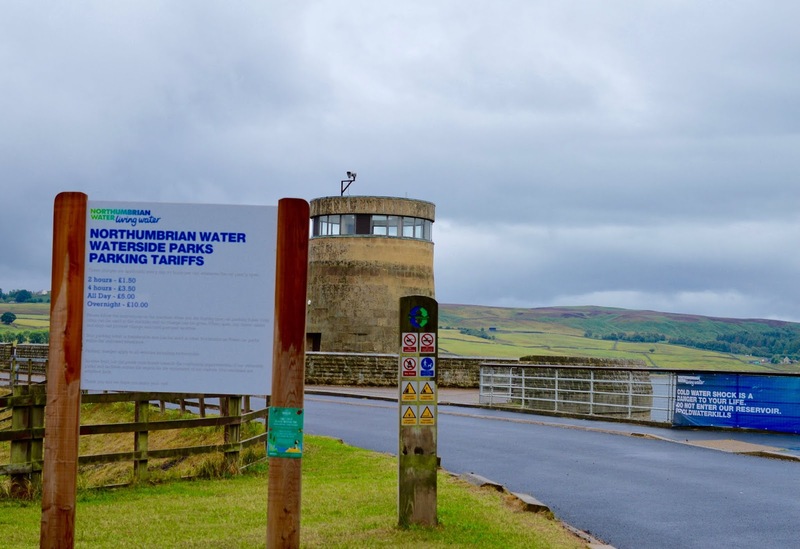 The best way to keep up to date with what's happening is to give the Northumbrian Water Waterside Park Facebook page a follow and check back regularly. 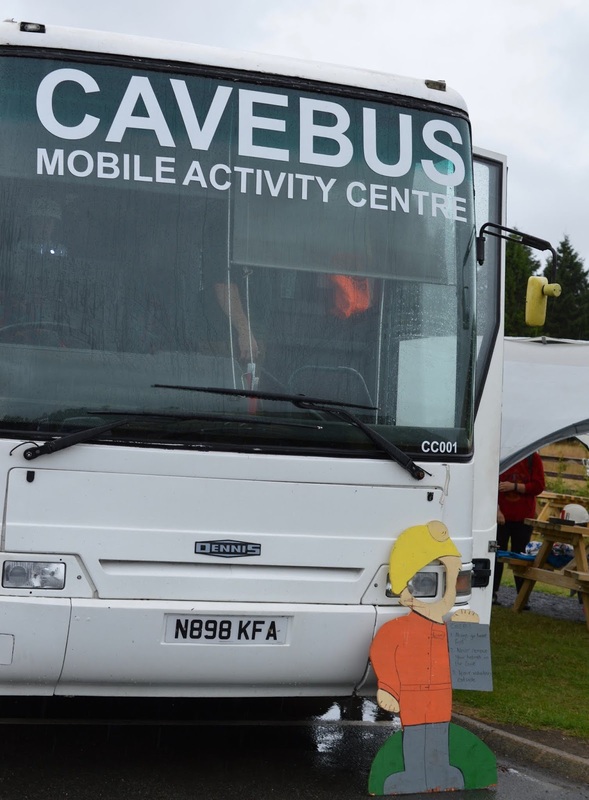 On the day of our visit, a Cavebus was visiting. It was free to have a go and something pretty unique too. 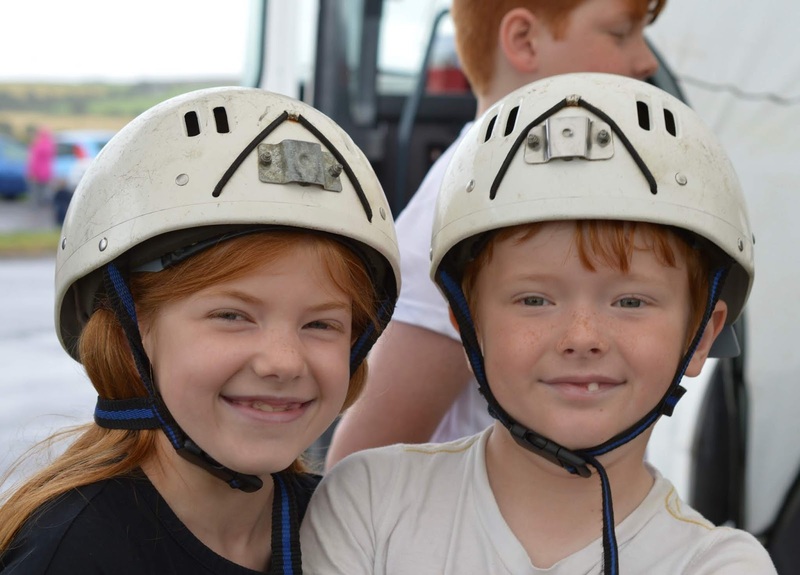 Children were given a hard hat and torch and allowed to clamber around a bus which has been transformed to feel like caves. 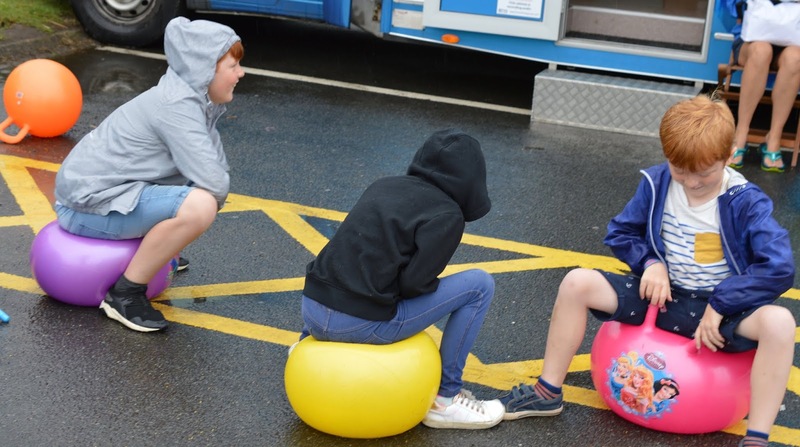 My three loved this and I can't believe there was no additional charge to have a go. 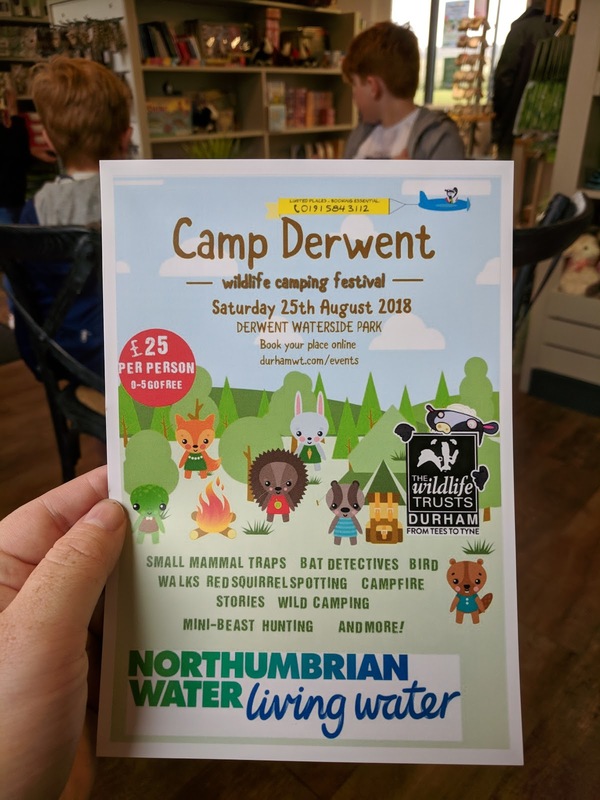 I also spotted a leaflet advertising wild camping on site over August bank holiday weekend which looks pretty cool. 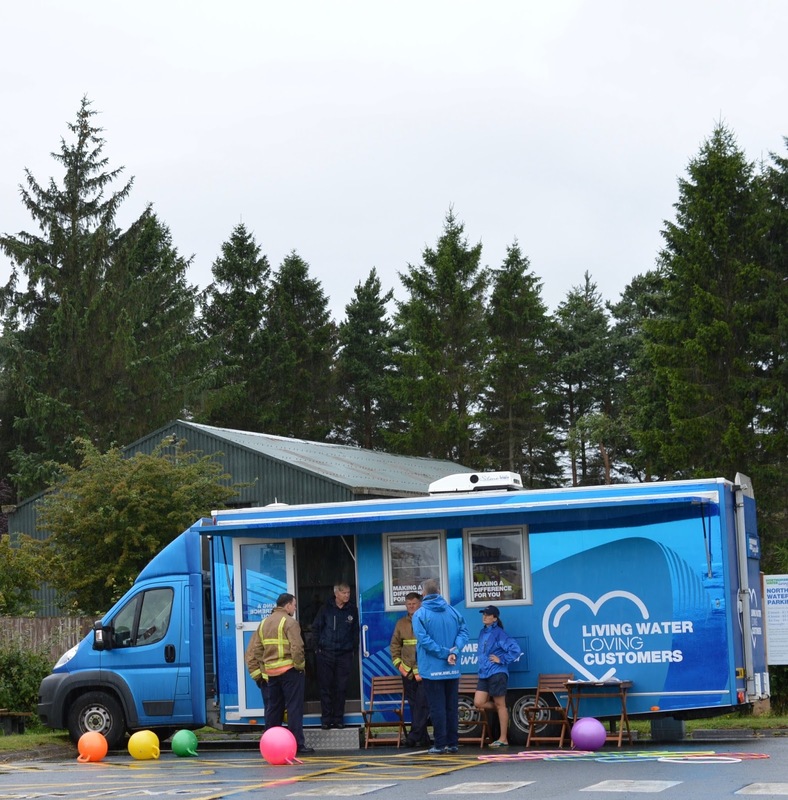 The Northumbria Water Fun Bus was also visiting (not sure if this is it's official name!) 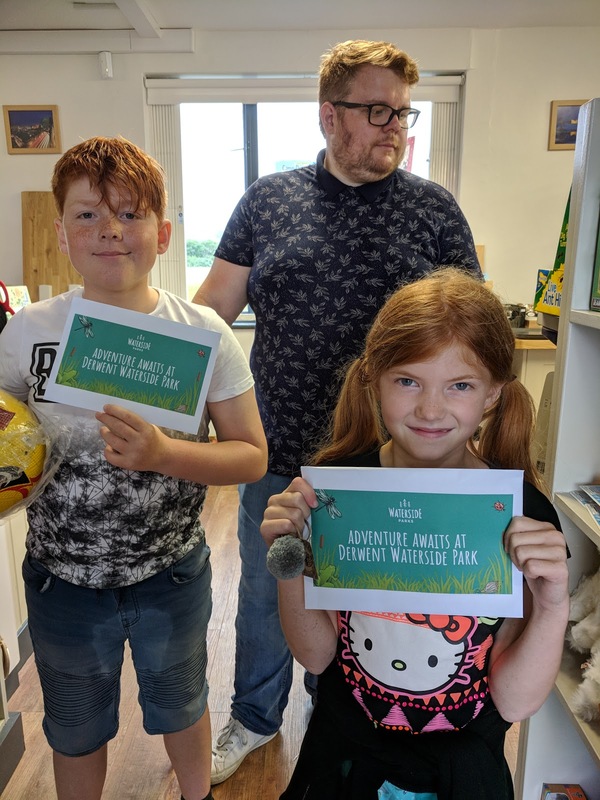 and the staff here were lovely - they had outdoor toys for the kids to play with and invited us inside of their van to try some wildlife colouring (again all free of charge) which was a welcome break from the rain. 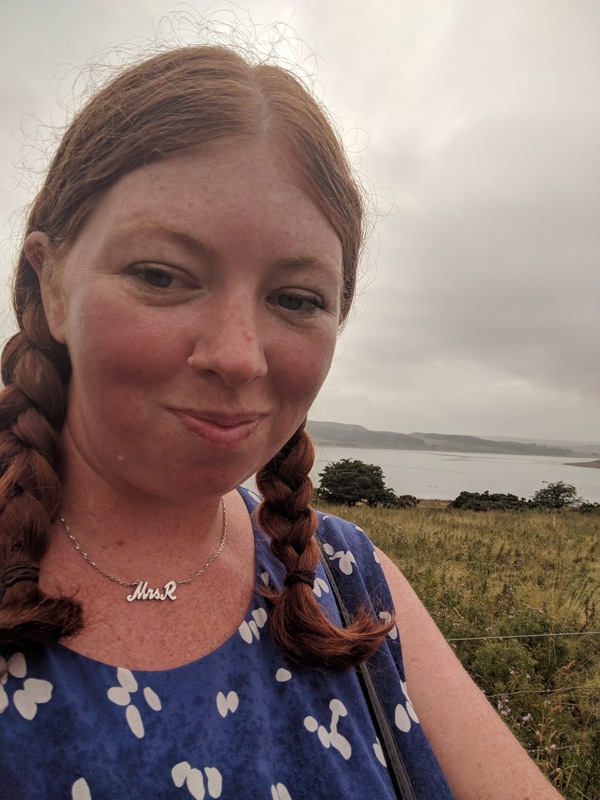 I will be honest when I say if I hadn't have been commissioned to write this blog post, I probably would have cancelled our day out due to the weather and visited on a less-rainy day but do you know what, I'm actually pleased we visited when we did. 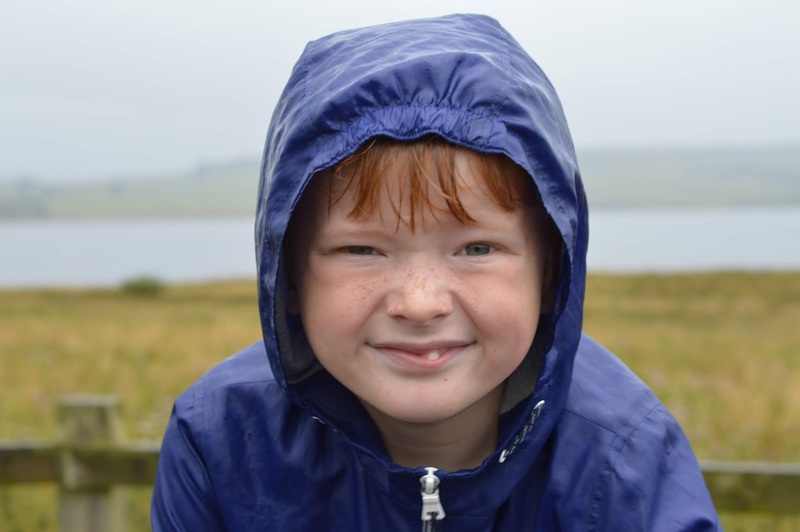 We haven't laughed so much as a family in ages as we did as we were walking around the reservoir in the pouring rain and getting drenched. The kids found how soggy I was getting to be hilarious. 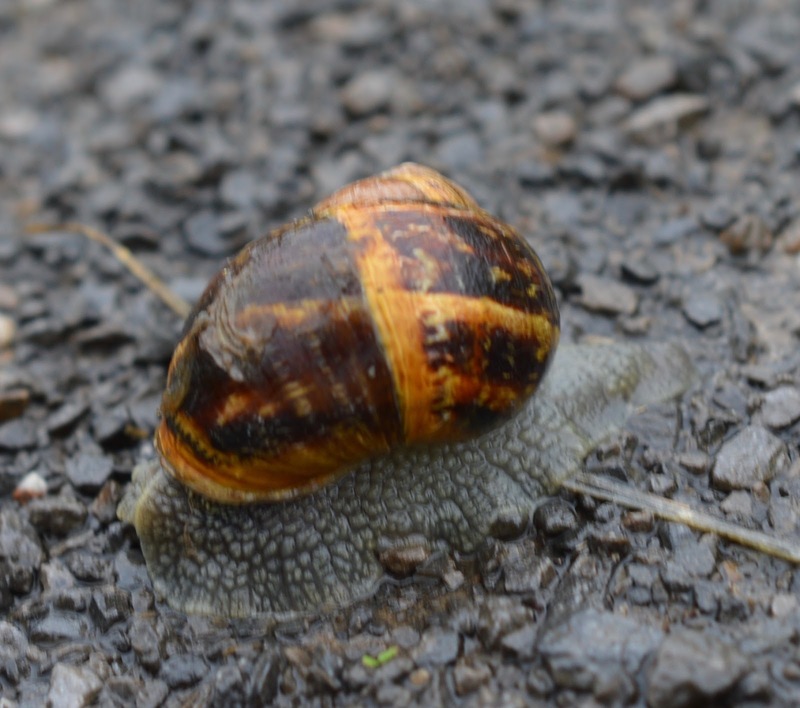 It was also an opportunity to spot lots of slugs and snails and wildlife we might not normally notice on a sunny day too. As it was chucking it down, my phone stayed firmly in my bag too so there were no distractions at all - it really felt as if we were spending proper quality time together. 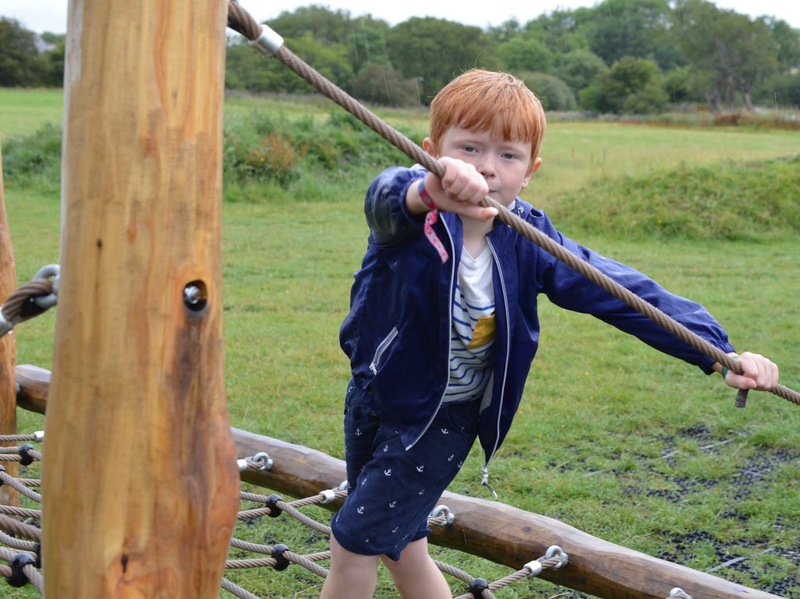 If you're looking for a low-cost day out with a fab adventure playground, free nature trail, gorgeous countryside scenery, ample green space to run around, a BBQ area, lots of picnic tables, access to a cafe serving ice creams, hot drinks and snacks, loos on-site and extra events at certain times too, I really would recommend visiting Derwent Waterside Park. 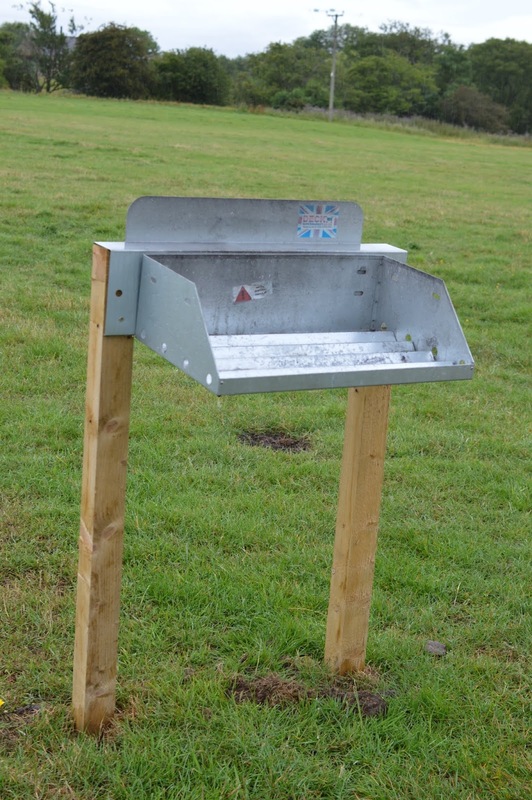 The postcode is DH8 9TT and you'll need change (£1.50 or £5) for the parking machine. Let me know if you fancy it! Find out more about Derwent Waterside Park here. Ohhhhhh this makes more sense now! When I was watching your Instagram stories of you all getting soaked I was wondering why you hadn't got your coats ... didn't realise you'd packed the night before! How annoying! What you were saying about having emergency clothes in the back of the car is probably something that we should all do .. I do have an emergency jumper in our boot (of course!) but I have often thought about adding some emergency leggings and coat in there too so maybe I'll actually do that now! 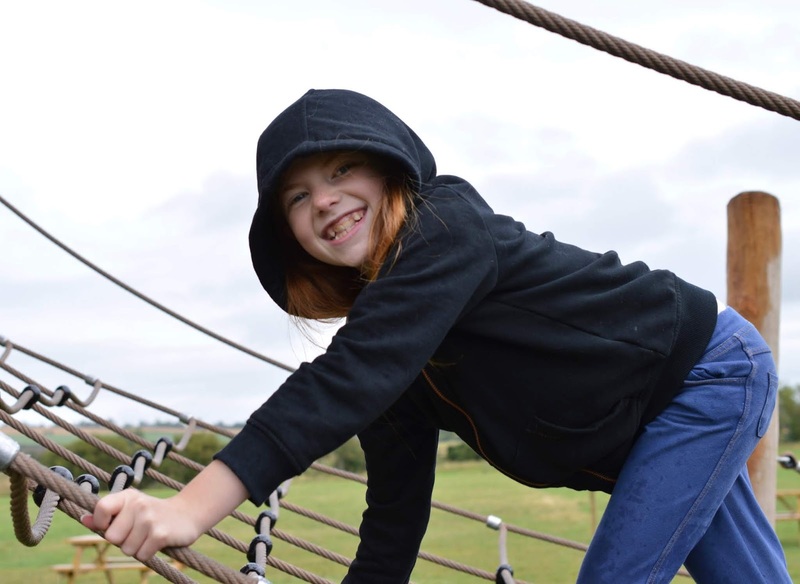 The adventure playground looks amazing, I remember when I was a kid I would base my enjoyment of a day trip entirely on whether there was a decent playground, we would nag and nag to go and play but were only ever allowed on if we'd been well behaved the rest of the day! 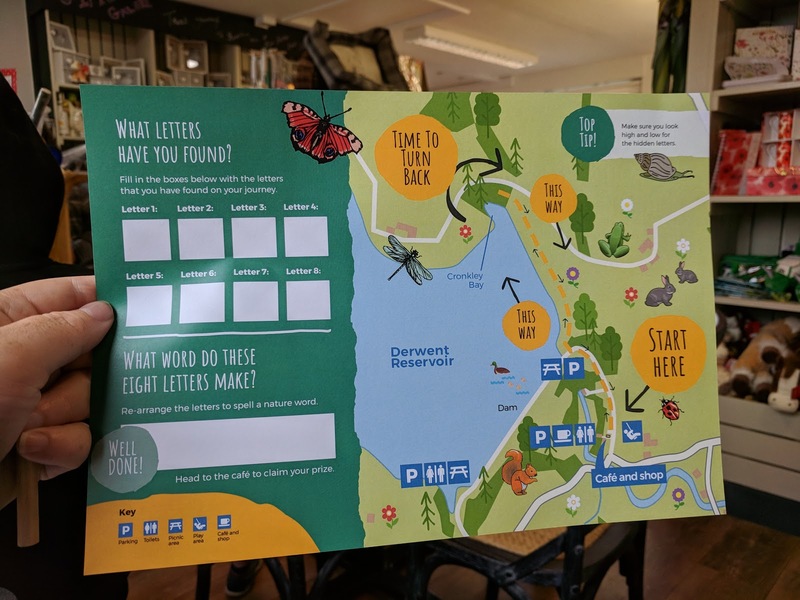 I knew nothing about Derwent Waterside Park before reading this so thanks for sharing, another one to add to our list, although I think I might visit when it's a bit dryer!